Circus people in front of tent, 1926/1997. 10 x 8 inch Gelatin Silver Print. Edition of 12. Signed in pencil by Gerd Sander on verso. Citizens of the Twentieth Century, plate 352. The wife of the painter Peter Abelen, 1927/1997. 10 x 8 inch Gelatin Silver Print. Edition of 12. Signed in pencil by Gerd Sander on verso. Citizens of the Twentieth Century, plate 188. 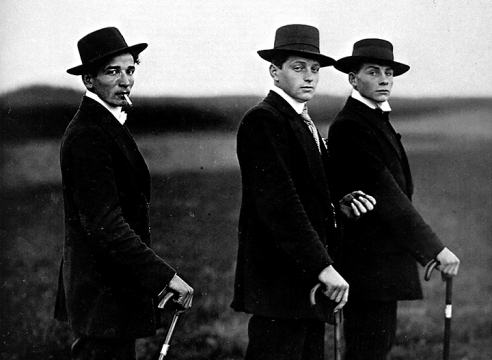 Three Young Farmers, Westerwald, 1947/1997. 10 x 8 inch Gelatin Silver Print. Edition of 12. Signed in pencil by Gerd Sander on verso. Citizens of the Twentieth Century, plate 19. Circus Artist, 1926/1997. 10 x 8 inch Gelatin Silver Print. Edition of 12. Signed in pencil by Gerd Sander on verso. Citizens of the Twentieth Century, plate 351. Boxers, 1928/1997. 10 x 8 inch Gelatin Silver Print. Edition of 12. Signed in pencil by Gerd Sander on verso. Citizens of the Twentieth Century, plate 85. Death, 1927/1997. 10 x 8 inch Gelatin Silver Print. Edition of 12. Signed in pencil by Gerd Sander on verso. Citizens of the Twentieth Century, plate 431. Farm Children, 1927/1997. 10 x 8 inch Gelatin Silver Print. Edition of 12. Signed in pencil by Gerd Sander on verso. Citizens of the Twentieth Century, plate 30. Farmer, 1927/1997. 10 x 8 inch Gelatin Silver Print. Edition of 12. Signed in pencil by Gerd Sander on verso. Citizens of the Twentieth Century, plate 64. 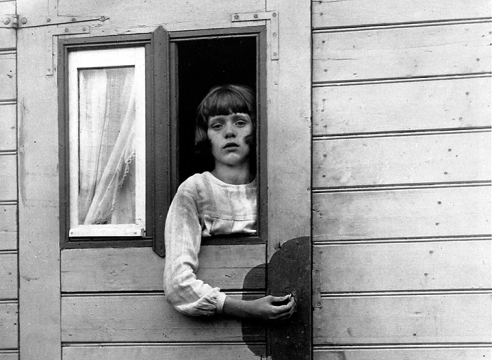 Girl in a circus caravan, 1926/1997. 10 x 8 inch Gelatin Silver Print. Edition of 12. Signed in pencil by Gerd Sander on verso. Citizens of the Twentieth Century, plate 349. Hod carrier, 1928/1997. 10 x 8 inch Gelatin Silver Print. Edition of 12. Signed in pencil by Gerd Sander on verso. Citizens of the Twentieth Century, plate 120. Master mason, 1932/1997. 10 x 8 inch Gelatin Silver Print. Edition of 12. Signed in pencil by Gerd Sander on verso. Citizens of the Twentieth Century, plate 95. The painter Anton Raderscheidt, 1927/1997. 10 x 8 inch Gelatin Silver Print. Edition of 12. Signed in pencil by Gerd Sander on verso. Citizens of the Twentieth Century, plate 318. Secretary at a radio station, 1931/1997. 10 x 8 inch Gelatin Silver Print. Edition of 12. Signed in pencil by Gerd Sander on verso. Citizens of the Twentieth Century, plate 191. Farm girls, 1928/1997. 10 x 8 inch Gelatin Silver Print. Edition of 12. Signed in pencil by Gerd Sander on verso. Citizens of the Twentieth Century, plate 19. The Wife of Architect Hanz Heinz Luttgen, 1930/1997. 10 x 8 inch Gelatin Silver Print. Edition of 12. Signed in pencil by Gerd Sander on verso. Citizens of the Twentieth Century, plate 190. Waitress, 1928/1997. 10 x 8 inch Gelatin Silver Print. Edition of 12. Signed in pencil by Gerd Sander on verso. Citizens of the Twentieth Century, plate 387. The Dadaist Raoul Hausmann, 1928/1997. 10 x 8 inch Gelatin Silver Print. Edition of 12. Signed in pencil by Gerd Sander on verso. Citizens of the Twentieth Century, plate 317. Amateur Flyer, 1920/1997. 10 x 8 inch Gelatin Silver Print. Edition of 12. Signed in pencil by Gerd Sander on verso. Citizens of the Twentieth Century, plate 88. Jockey, 1930/1997. 10 x 8 inch Gelatin Silver Print. Edition of 12. Signed in pencil by Gerd Sander on verso. Citizens of the Twentieth Century, plate 87. Two sisters with brother, 1905/1997. 10 x 8 inch Gelatin Silver Print. Edition of 12. Signed in pencil by Gerd Sander on verso. Citizens of the Twentieth Century, plate 167. Blind children, 1930/1997. 10 x 8 inch Gelatin Silver Print. Edition of 12. Signed in pencil by Gerd Sander on verso. Citizens of the Twentieth Century, plate 423.